You feel the desire to be at the center of living in Aventura. To be surrounded by green parks dense with beauty and public art. To have it all. Inspired living and Aventura just outside your door. 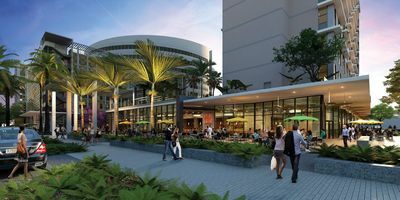 Welcome to Aventura ParkSquare, a vibrant new community designed with purpose by Zyscovich Architects. 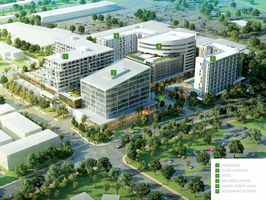 Planned to the smallest detail, here you find exquisite residences, class-A offices and a luxury hotel combined with sustainable design, start-of the-art wellness center, community garden, wide boulevard sidewalks and a festive main street lined with restaurants and shops. The future of Aventura has arrived. At Aventura ParkSquare life is measured by meaningful moments, make as many moments as you can. The first of its kind, Aventura ParkSquare is an exclusive new lifestyle community with wellness as the design cornerstone. Wide sidewalks, tree-lined streets, green spaces and public art encourage Residents to walk to shopping, dining, fitness, work and play all located on main street.